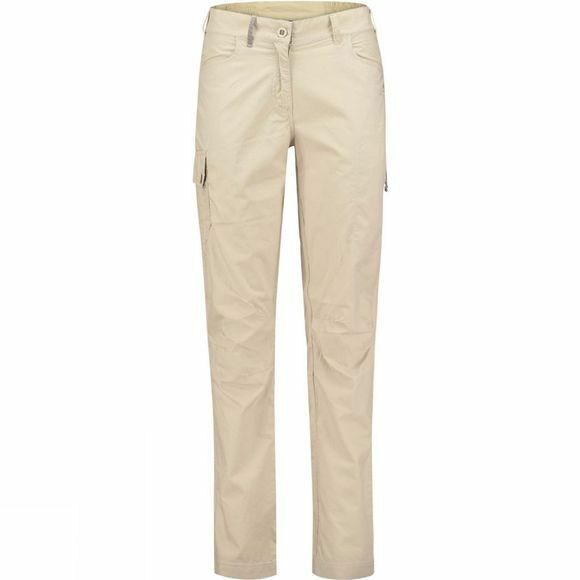 The Ayacucho Camps Bay Pants are good-looking summer trousers with a unique cooling effect. The fabric is made of a Tencel and cotton mix. Tencel is composed of natural fibres, made from trees. It has a cooling effect and absorbs moisture. What's more, its unique moisture-regulating and antibacterial properties limit the development of unpleasant odours, without any chemical treatment. Ideal for long journeys through places where you don’t have direct access to washing facilities. In addition to their cooling effect, these trousers have handy storage possibilities to hold all your little essentials. 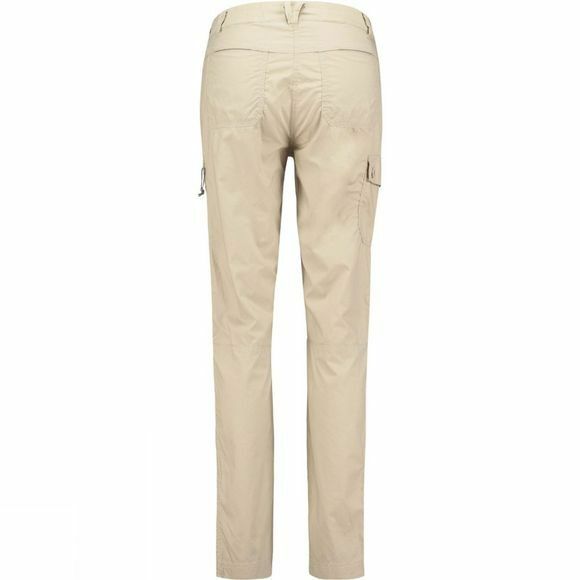 The spacious thigh pocket is strategically positioned so you can grab a hiking map quickly and easily. The two back pockets close with zips. The trouser legs have articulated knees, too, so you can bend your legs without resistance. Ideal on summer city breaks, country walks and hikes. These long trousers have an elasticated waistband.